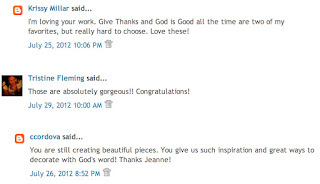 Inspiring Ideas with artist Jeanne Winters: Art Giveaway Winners!! Ladies, please email me your mailing addresses and choice of art so we can get these on their way! 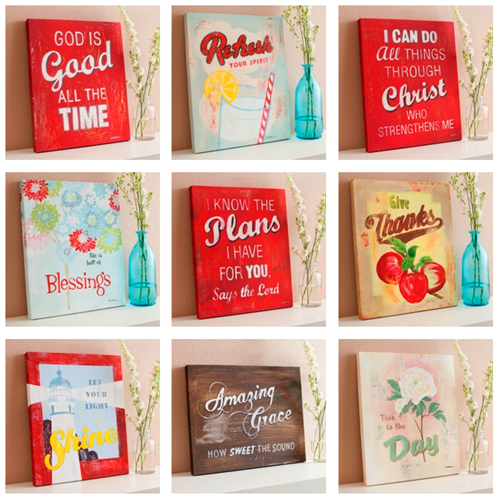 And if you didn't win ... :-( ... Today is the last day for DaySpring's July 25% off sale ... Enter "Joy2012" for the discount! 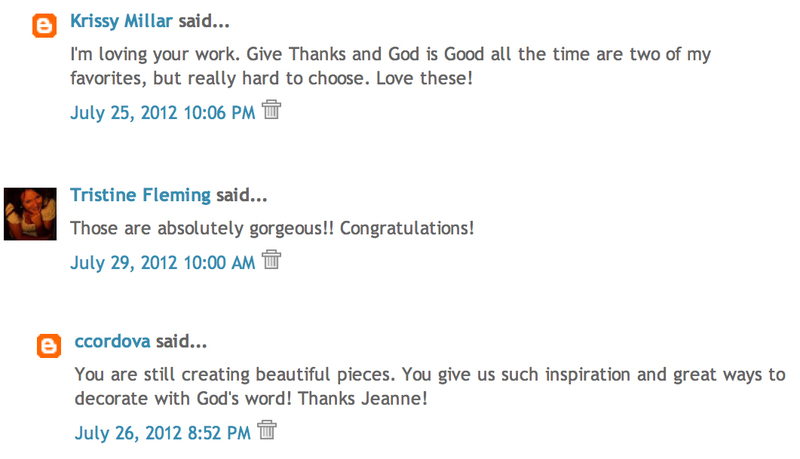 Please visit my Jeanne Winters Facebook page to see who the winner is over there!! Thanks again everyone for entering and sharing your comments! I'm busy setting up a Junior Olympics party for about 20 kids who'll be "competing" here tomorrow! Fun, fun! :-) Remember, use my Topics cloud over on the right to see all my previous craft and creative idea posts for all sorts of occasions!